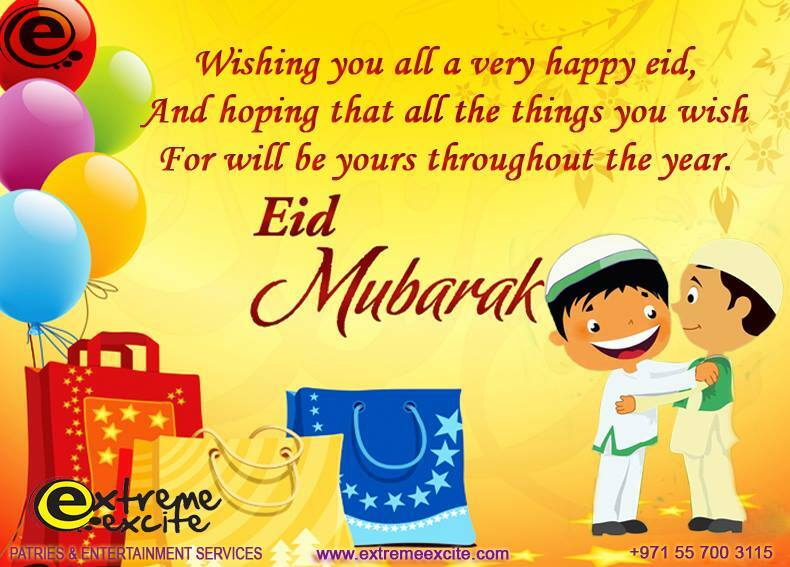 Welcome To Extreme Excite: Eid Mubarak! When our arms can't reach people who are close to our hearts, We always hug them with our prayers. May Allah be always with them and give them peace, abundant happiness and contentment!